THE Herald and Times Group has collected three top prizes in a media awards competition organised to coincide with Scottish Refugee Week. 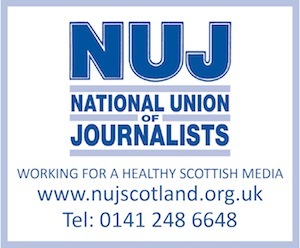 Billy Briggs secured top spot in the National Print category, while the Evening Times’ Caroline Wilson and Colin Mearns of The Herald and its sister newspaper, the Sunday Herald, picked up prizes for Local Print and Photography, respectively. STV, meanwhile, took the award for Broadcast as reporter Mike Edwards received first prize for his piece, ‘Kosovo to Glasgow’. In the New Voices Student Journalism category, there were two winners, with Sabrina Ramzan of Strathclyde University and Martin Graham of Caledonian taking joint top spot. Run by Oxfam Scotland – in association with various other organisations, including the Scottish Refugee Council, the British Red Cross and the NUJ – the awards aim to highlight the positive work of those who report on asylum and refugee-related issues.